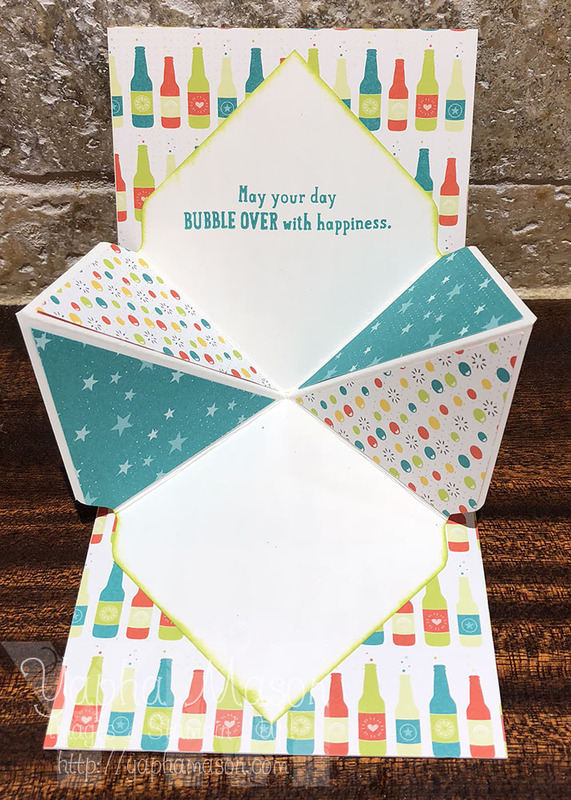 What a super fun pop out card Yapha. That DSP really shines here. 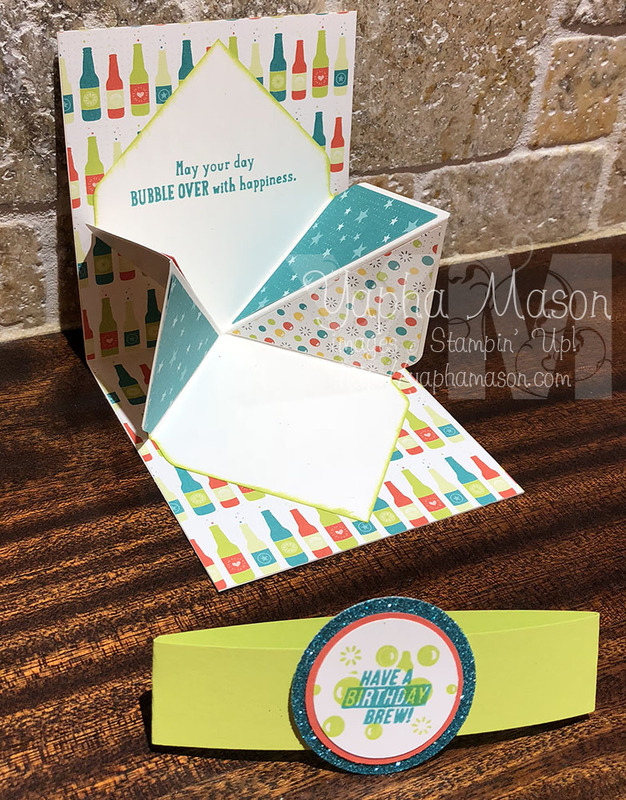 Super cute…..love the inside surprise! Oh, wow, Yapha! I have never tried an explosion card before, but this is adorable! Thank you for the inspiration! That card is just FULL of fun! Oh I had forgotten about that fold. So effective with that DSP Yapha. I love this card, Yapha! The extra sparkle on the belly band sends it right over the top. That’s a really cool interactive pop up. I’ll have to check it out! 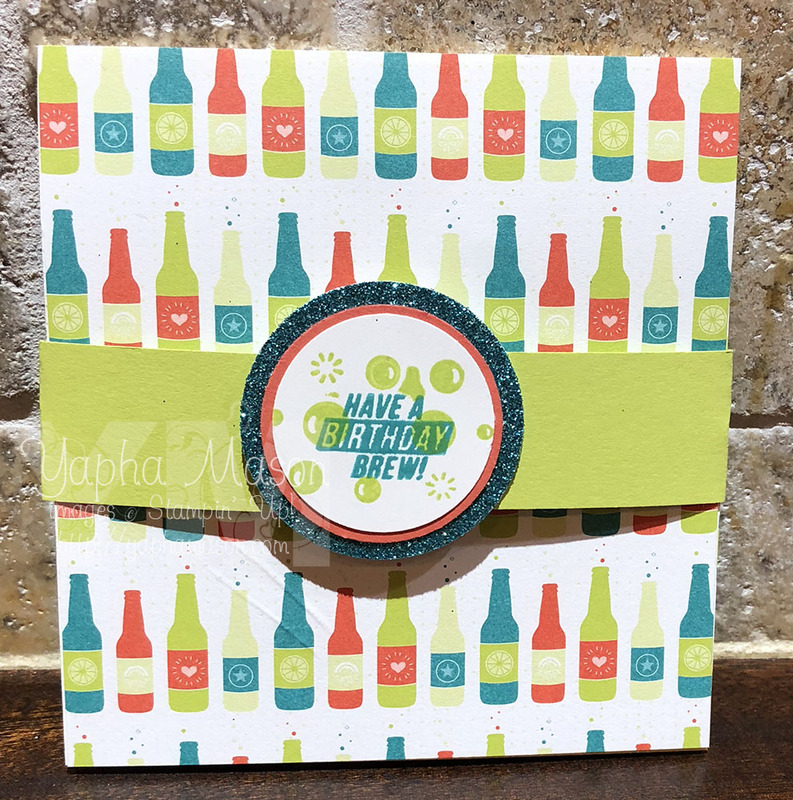 Super cute with this fun set and bright color layout. All the elements scream FUN! Super cute I love it! I gotta give these a try sometime. Love the extra sparkle on the belly band too.